A-ha and Jack Savoretti on the A-List, Lauren Housley on the B-List and Ruby Turner on the C list!! 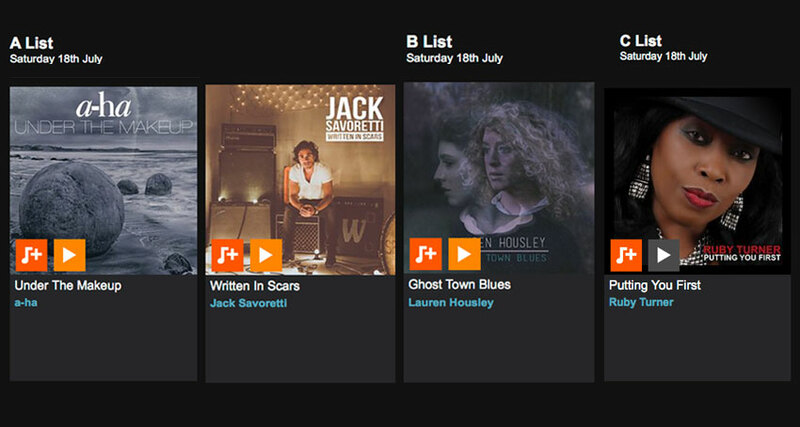 Jack Savoretti’s ‘Written In Scars’ has stayed on the BBC Radio 2 A list for the 6th week running!! Joining him is A-ha who moved up from the B list with their new single ‘Under The Make up’! And Ruby Tuner is on the C list for a 4th week running with ‘Putting You First’!! Wednesday you beautiful, beautiful day.